Before I share our plans for the year, I wanted to take some time to reflect on the past year. When we set our 2016 home renovation goals, we knew it was extremely ambitious. As the year progressed, it became clearer that we were at a crossroads with how to best approach everything. Apart from our great room and two bathrooms, the rest of the house inside and out still has to be tackled! We knew we'd be compromising any exterior improvements we had planned to do last year as soon as construction started on impending renovations. So, we pumped the brakes on the 2016 goals, tackled other projects in the house, and started interviewing some firms to help us accomplish our hefty renovation goals (more on that soon!). You can read about some of our upcoming plans here. Our kitchen renovation wrapped up at the tail end of 2015 with the DIY installation of the backsplash. I shared the before and after transformation in early 2016, which you can (re)visit here. We have been enjoying the new kitchen for a year now, and it has been so, so wonderful! The kitchen renovation was well-worth the months of inconvenience and construction dust! It really transformed how we live in our home. It was a blessing to share the space over on Shine Your Light, and have it featured by Hometalk. We put some decorative and finishing touches on our dining room last spring, which included a focal wall and new brass ceiling light fixture. 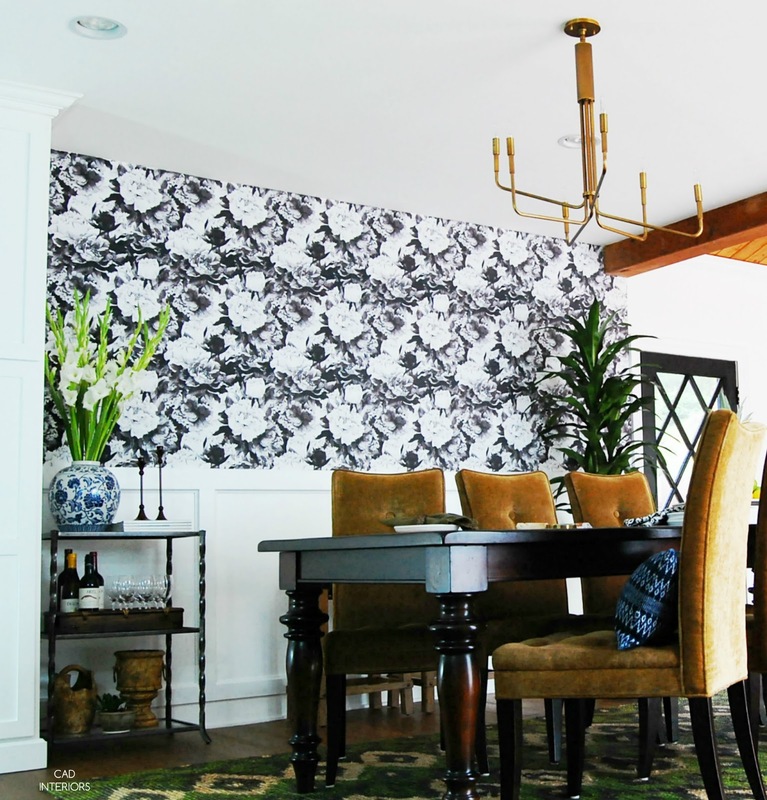 The feature wall, which was definitely the centerpiece of the dining room makeover, received so much positive attention. 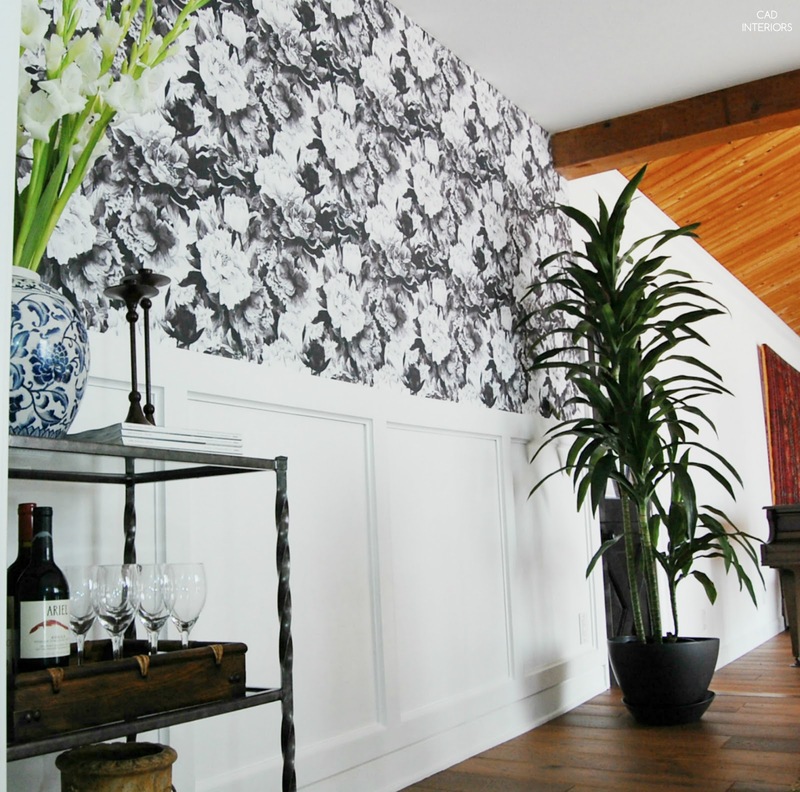 The end result made all the wonky wall challenges we faced during the DIY wainscoting and wallpaper installation completely worth it. It was a nice surprise to get a "shout out" from House Beautiful on the trim work. Walls Need Love, the source for the beautiful, bold wallpaper, also featured the room on social media - twice! 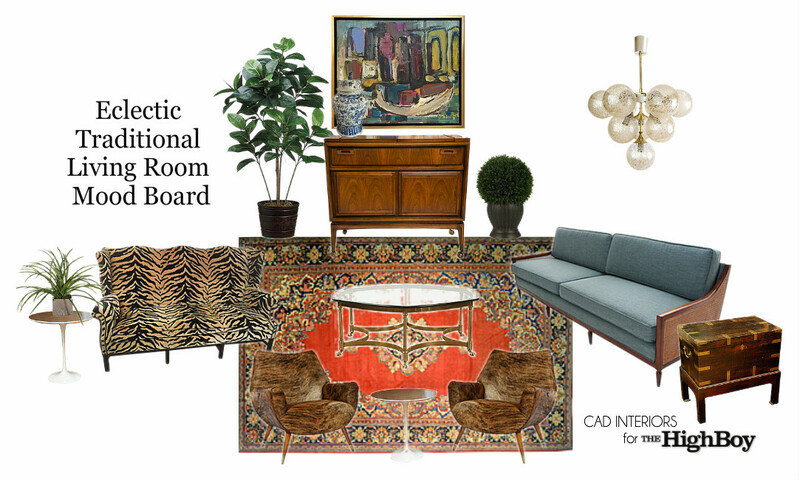 It was also an honor to have the room makeover featured as a "favorite" here and here. 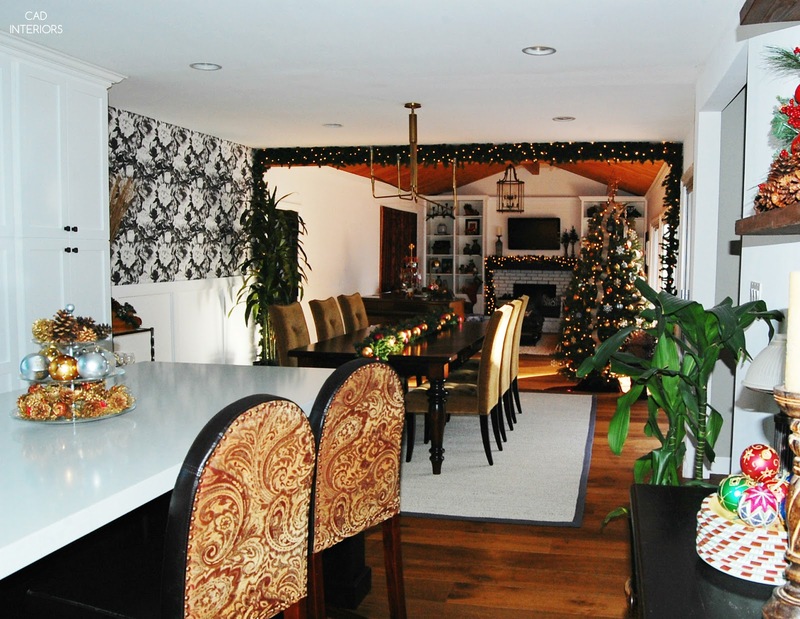 During the recent holiday season, our dining area was my favorite room in the house. The twinkle lights gave the room a warm, sparkly glow. Apparently, Safavieh enjoyed the space too! I am so grateful for the opportunities that come my way as a result of this blog. That being said, the opportunities I actually accept need to "fit" the content of the blog or provide some benefit to YOU. This past year, I was fortunate to work with two new-to-me businesses that I was happy to promote. 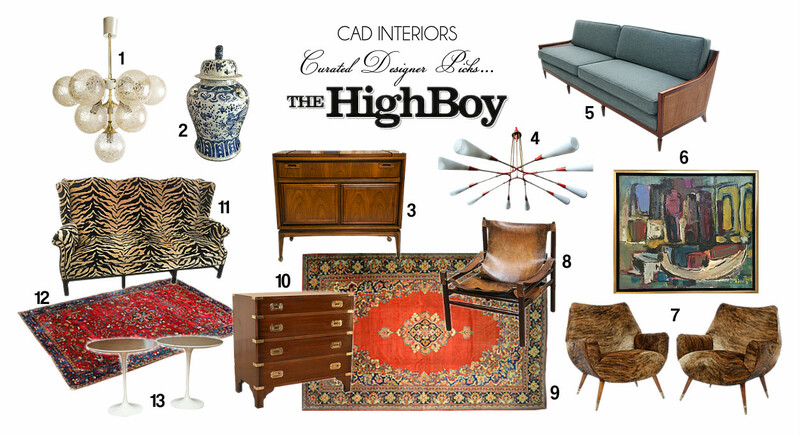 ...and put together a mood board to show you how some of my designer picks can work together within a space! You can see the full post here. 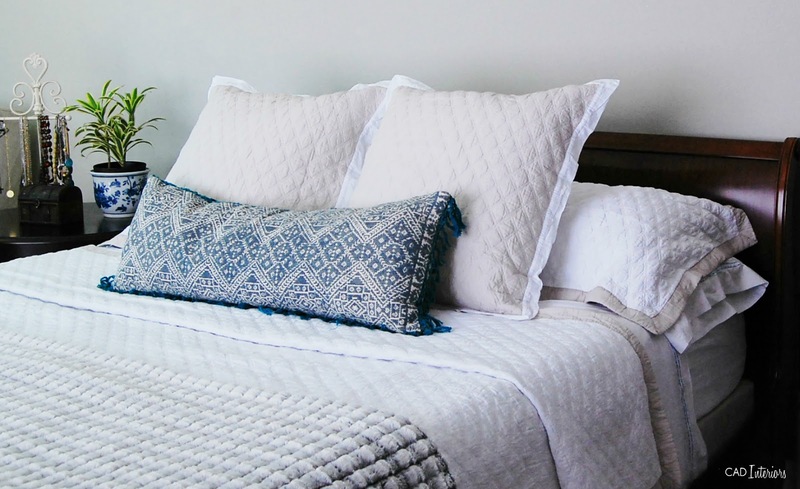 ...while giving our master bedroom a summer bedding refresh in the process! 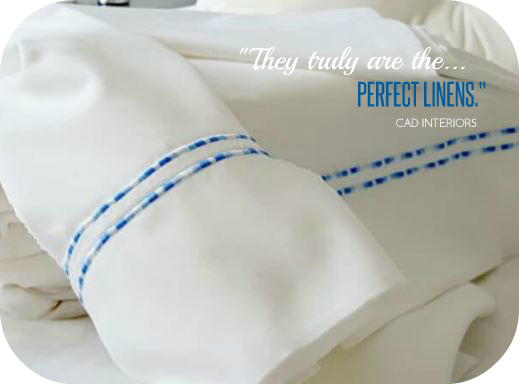 By the way, Perfect Linens is offering my readers a 10% savings on their Toastmaster sheets until January 15, 2017. Follow this link and use code Toasty10 to take advantage of the offer! I have yet to reveal the "kitchen wall", but we added form and function to this once-empty area at the end of 2016. Stay tuned to see it! 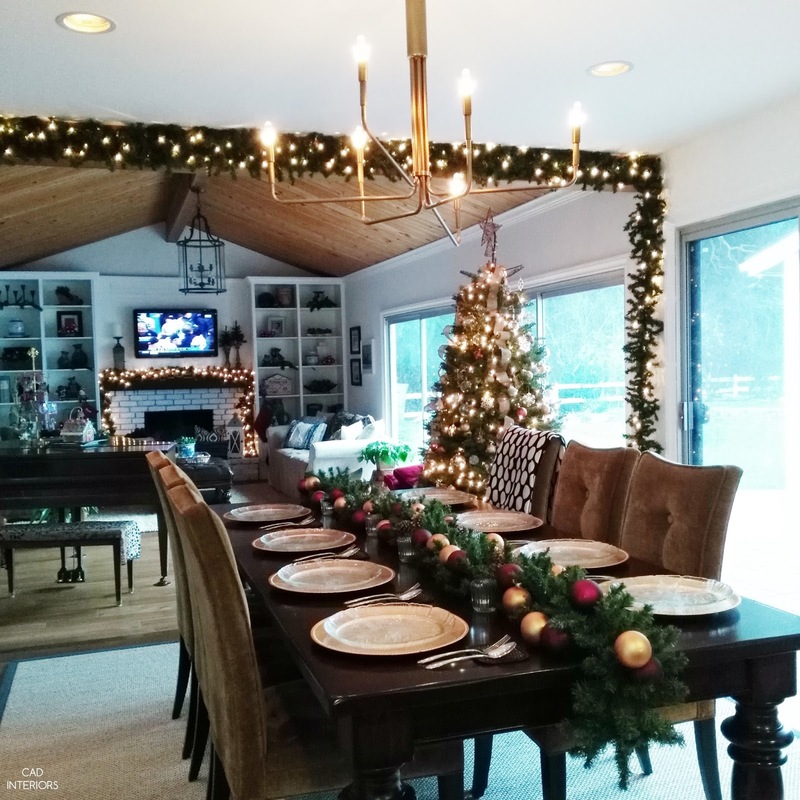 It was an honor to have our home included in the 2016 Winter Eclectic Holiday Home Tour. Sharing our holiday-decked home with all of you was the best possible way to close out 2016 on the blog! It's been a pleasure to share our home renovation journey, while receiving such constructive support and feedback along the way! I'm also so grateful for the opportunities and "friendships" that have resulted from my little virtual corner of the web. Thank you so much for following along. Here's to a blessed new year! 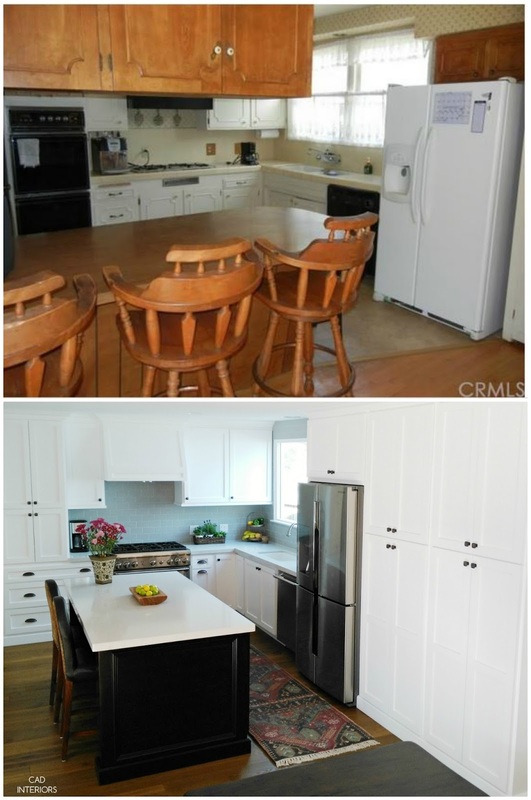 Carol, your kitchen reno is amazing!! I love what you did with it! Such a major transformation! Best wishes to you for an amazing 2017 with new designs and growth opportunities! Thanks Karrie! We spend most of our time together in the kitchen, and we are very happy with the way it functions for us! Same to you for an amazing 2017 filled with great opportunities!